This New York Times article about Edward Snowden implicitly highlights the perceived dilemmas of US cybersecurity policy. In 2010, while working for a National Security Agency contractor, Edward J. Snowden learned to be a hacker. He took a course that trains security professionals to think like hackers and understand their techniques, all with the intent of turning out “certified ethical hackers” who can better defend their employers’ networks. But the certification, listed on a résumé that Mr. Snowden later prepared, would also have given him some of the skills he needed to rummage undetected through N.S.A. computer systems and gather the highly classified surveillance documents that he leaked last month, security experts say. It seems like Edward Snowden has offered his citizenship to at least 21 countries via auction from Moscow’s airport transit area. It is not yet clear if anyone will bid but it is interesting nonetheless to analyze what mr. Snowden is trying to sell and why anyone would buy. Snowden essentially has two assets: sensitive information and the ability to give a leader a temporary boast in popularity. From his willingness to freely share sensitive information it would appear that Snowden is betting on the latter (although he may be holding back more information). Unfortunately for the U.S. he has already spent considerable time with representatives from two governments that the U.S. would least like this information to be shared with. Any leader bidding for Snowden’s citizenship faces a time inconsistency problem: how can Snowden be assured that a leader doesn’t just use him for immediate popularity gains (perhaps to help win an election?) and then throws him under the bus? From this perspective, a European country would be ideal (Switzerland comes to mind). This is not because European leaders are more trustworthy but because most countries there have legal systems that heavily constrain extradiction. Snowden could even fight it all the way up to the European Court of Human Rights if it came to that. It would make little sense for the U.S. to keep pressuring such a country to give up Snowden after he was granted asylum knowing that the legal branch credibly constrains the executive. This could make the political cost for European countries lower. On the other hand, there is plenty of time to make credible threats now and Switzerland doesn’t really need another U.S. investigation into one of its banks. Perhaps Norway is the best candidate? They have enough oil (and few other exports) to withstand U.S. pressure, although the U.S. has a unique ability to hurt most countries in multiple ways. I have little doubt that mr. Snowden’s revelations this week were aimed at creating a domestic fury in European countries that could conjure up sufficient support for asylum. I have more doubts that it will work. To start with, most asylum laws do not allow applications from abroad so leaders have a simple legal argument to hide behind. Moreover, in the midst of an economic crisis it is less clear that standing up to the U.S. in a way that could mean foregoing economic gains yields many political benefits. The main credibility problems for Latin American countries is that the ideological composition of governments may change and thereby the incentives to extradite. Some Russian officials (and Ron Paul) suggested that Snowden might also face extra-legal risks there, alluding to a history of U.S. assassinations (let’s hope for mr. Snowden that Donald Trump does not win the next elections). Snowden may also be concerned about his long-term security in Russia. It would seem that mr. Snowden is the kind of individual who might soon find himself in trouble with the Russian government. Compared to that government turnovers have the virtue of being at least somewhat predictable. Yet, granting asylum is also controversial within Ecuador and Venezuela and it is not clear that the political benefits are that straightforward. Another option is, of course, that mr. Snowden strikes some kind of bargain with the U.S. government.Or he might end up living in the transit zone for another 17 years, as an Iranian refugee apparently did in France. If an offer from Venezuela or so materialized, I would take it if I were Snowden. Perhaps the most likely outcome, though, is that he will remain in Russia. I don’t think this will harm U.S. Russia relations all that much in the long run. You can cancel a trade deal with Ecuador over an affair like this but not with Russia (which has now entered the WTO). It would merely be a continuation (although somewhat intensified) of existing spats over human rights. Perhaps one of the former Soviet republics will take him of Russia’s hands. We welcome another guest post from Jeremy Pressman. Forty-six years ago today, Israel launched the 1967 War. By now, it is trite to note the way that the war radically changed the territorial and demographic dynamics on the ground. Those Israelis who long to return their country to its pre-1967 definition, or something similar to it, are reaching for a distant memory. The war resulted from a colossal blunder on the part of Egypt’s president, Gamel Abdel Nasser. In May 1967, Nasser took a series of provocative steps that gave Israel an opening for war. Did Israel have to go to war on June 5 or risk immediate annihilation? Not according to internal Israeli and US (or here) military estimates. And the pressure on Nasser was probably large due to his rivals in the Arab world (e.g. Jordan and Syria), Israeli-Syrian clashes, and Soviet whispers of an Israel troop buildup. First, it facilitated the rise of Palestinian nationalism. For Palestinians, the feeble military performance of the Egyptian, Jordanian, and Syrian armies combined with Israel’s occupation of Palestinians in the West Bank and Gaza Strip was quite sobering. If they wanted a political future, the Palestinians would have to take the lead, as the PLO then did in the late 1960s and into the 1970s. Moreover, the day-to-day contact with the Israeli occupation forces ultimately sharpened the clash. From UNSC Resolution 242 of 22 November 1967 – which makes no mention of a national-political Palestinian dimension – to the declaration of the PLO as the sole, legitimate representative of the Palestinian people by the League of Arab States (1974) to today’s widespread international support for the idea of a Palestinian state, one can see the political evolution that followed. The core question of the conflict shifted. It became less about whether Israel should exist and instead took a different form: “should the Palestinians exist in the form of a state?” In 1979, Egypt and Israel signed a peace treaty. Israel and Jordan signed one in 1994, and Israel and Syria came close. The Arab Peace Initiative (2002) is the ultimate expression of this shift on a wide scale: Arab states accepting the State of Israel and calling for a State of Palestine too. Second, and related to the first point, the one-sided results of the conventional military war of 1967 also meant the definition of Arab military victory changed. Arab actors, and usually non-state at that, argued they only had to survive and avoid getting crushed by the Israeli armed forces. In the 1973 war, Egypt lost militarily but won psychologically. Hizbollah, in its 2006 battle with Israel, and Hamas, in 2008-09 and 2012 clashes, took a similar line: If we’re still here, Israel has lost. Third, the 1967 war confirmed a Jewish, messianic dream that, along with strategic and economic factors, propelled Israelis to move to the occupied territories with the active support of their government, or at least parts of the Israeli state. In addition to the ideological lift from the war’s outcome, the territorial point is obvious: Israel now controlled the land and could build and settle at will. And it did. Fourth, the same Arab military debacle was a contributing factor to the rise of Islamism. Of course the story of political Islam is much more complex than just a reference to the 1967 war and Arab humiliation. But the war was seen as a major illustration of the corruption and ineptitude of Arab socialism (and secularism). It was a failed experiment, and Arabs needed a new answer. For many, Islam was that answer. If the first trend moved the conflict toward a possible resolution, the other three have served only as obstacles to a historic territorial compromise. As U.S. Secretary of State John Kerry continues to push for Israeli-Palestinian negotiations, he is staring the 1967 war in the face. Jihadi foreign fighters: How dangerous? In our continuing collaboration with political science journals, the following guest post is written by Thomas Hegghammer (@hegghammer), a political scientist and historian at the Norwegian Defence Research Establishment (FFI). He is currently the Zuckerman fellow at Stanford’s Center for International Security and Cooperation (@CISAC). His article in the February 2013 issue of the American Political Science Review to which the post refers is available ungated here through June 15, 2013. Last week, radical Islamists stabbed a British soldier to death in Woolwich, South London. Meanwhile other Western jihadists were busy fighting Bashar al-Assad’s army in Syria. Although these activities seem unrelated, they raise an interesting question: Why do some Western jihadists attack at home while others fight abroad? Moreover, if jihadists are so keen to attack the West, why do some of them leave, given that they are already “behind enemy lines”? And how worried should we be about the prospect of foreign fighters returning to perpetrate terrorist attacks? Foreign fighting is by far the most common activity. 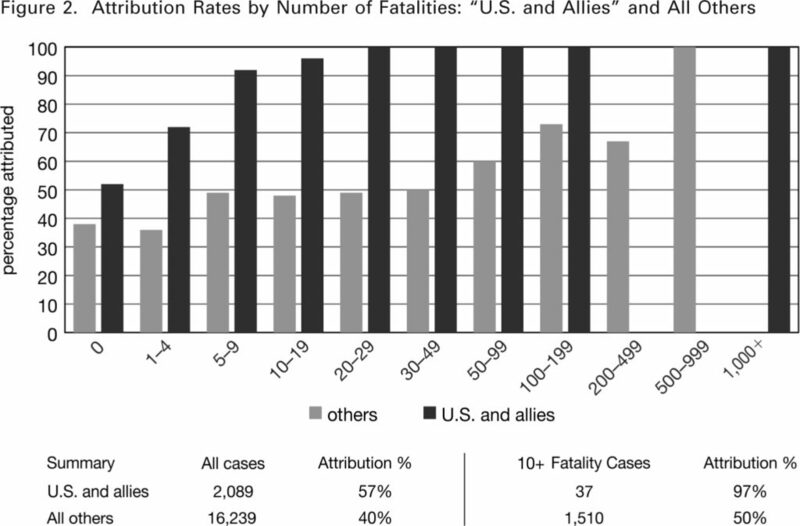 Foreign fighters outnumber domestic attackers by at least 3 to 1 (over 900 vs. 300 individuals over 20 years). Western jihadists seem to prefer foreign fighting for normative reasons. They heed religious authorities who consider fighting in warzones more legitimate than killing civilians in Western cities. Most foreign fighters appear not to leave with the intention to train for a domestic operation. However, a minority do acquire this motivation after their departure. Most foreign fighters never return for domestic plots. In my data, at most 1 in 9 foreign fighters came home to roost. 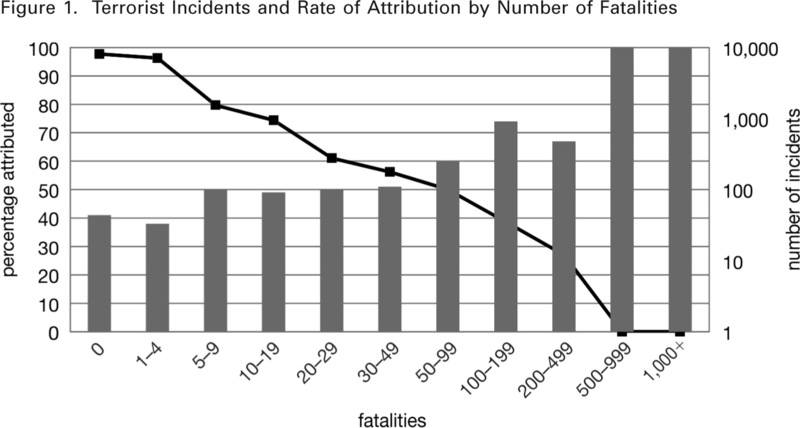 Those foreign fighters who do return are significantly more effective operatives than non-veterans. They act as entrepreneurs and concoct plots that are twice as likely to kill. For policymakers, the main takeaway from the article is that foreign fighters as a group pose somewhat less of a terrorist threat to the West than is often assumed. The widespread view of foreign fighters as very dangerous stems from their documented role in several serious terrorist plots in the past decade. However, this reasoning selects on the dependent variable, because it considers only the small subset of foreign fighters who returned to attack, disregarding the majority who were never heard from again. A related, but equally flawed assumption is that all foreign fighters leave for training, as part of a cunning strategy to “come back and hit us harder”. The fact that some foreign fighters trained and returned does not mean that all foreign fighters departed with that intention. As it turns out, not even those who did train and return say they planned it from the start. It follows from this that a government approach which treats all foreign fighters as domestic-terrorists-in-the-making risks wasting resources, because so few foreign fighters, statistically speaking, will go on to attack in the West. A first step toward a more efficient counterterrorism strategy is to differentiate between outgoing and homecoming foreign fighters and focus resources on the latter. 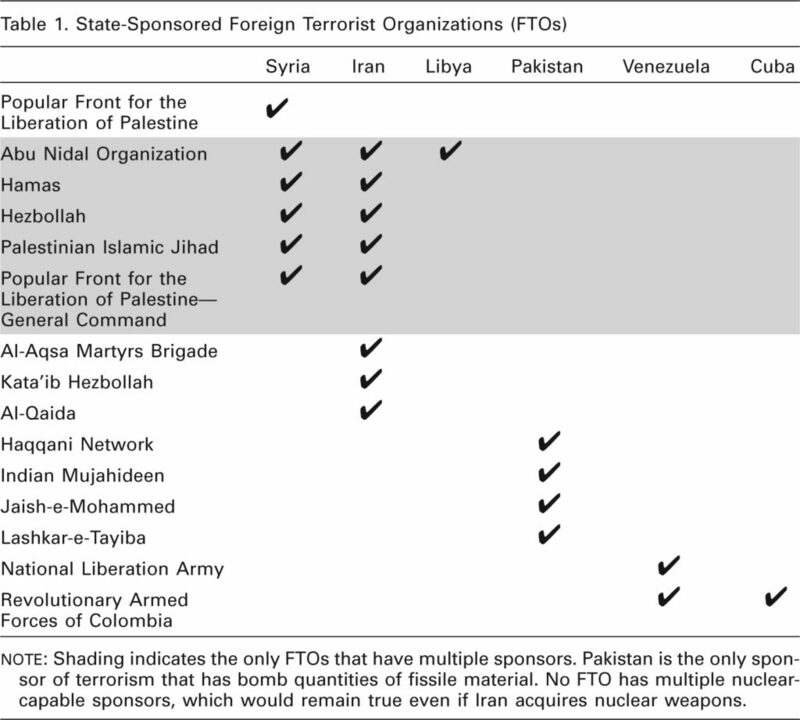 Some countries might consider going a little lighter on outgoing foreign fighters. The US government today spends considerable resources investigating, prosecuting, and incarcerating Muslims who merely attempt to join conflict zones like Somalia. While there should clearly be sanctions in place to deter foreign fighting, the deterrence effort could be better calibrated to the documented threat. By contrast, Islamists returning from conflict zones or neighbouring countries should be watched very carefully. This is hardly news to Western intelligence services, but the fact that the last two major attacks in the West, the Boston bombings and the Woolwich murder, involved unsupervised returnees – from Dagestan and Kenya/Somalia respectively – suggests an even greater effort is needed. A second step is to distinguish between subsets of foreign fighters according to the rate by which they “produce” domestic attackers. This issue is not addressed in my article and will require new research and analysis. We do not yet know why some foreign fighters and not others move on to domestic operations. Nor do we know why some destinations produce more domestic attackers than others. The AfPak region, for example, has produced tens of foreign-turned-domestic fighters, while Somalia has hardly produced any. Understanding these “determinants of differential returnee production” will be key to managing the future threat from the foreign fighters in Syria, a challenge that is not to be taken lightly. Just two years into the war, there may be over 500 Western Muslims fighting in Syria, more than in any previous Islamist foreign fighter destination, including the Afghan jihad in the 1980s. Most of these individuals are unlikely to pose a threat, but some will, so we should start thinking soon about who they are and when we might expect them. The most important indicator to watch is probably the declared strategic intent of jihadi organizations in Syria. If a group such as Jabhat al-Nusra should decide to systematically target the West, then the foreign fighter threat from Syria would increase substantially, as did the threat from Afghanistan when al-Qaida “went global” in the 1990s. In the meantime, we can take comfort in the finding that most jihadis choose foreign fighting because they do not want to be terrorists. Now through June 15, 2013, my research from the APSR will be freely available to the public. This is a guest post by Karolina Lula, a PhD student at Rutgers-Newark. The terrorism industry has grown exponentially since 9/11. Whenever a terrorist attack occurs, a plethora of terrorism scholars eagerly spoon out their collective wisdom. The chance to be included in the over-caffeinated media spotlight justifies decades cooped up in small offices pouring over data. In a certain respect, terrorism scholars mirror their subject. They both love an audience. Despite their growing presence in the media, academics fail to persuade others about what terrorism is in the first place. Language evolves and academia is only one source of influence. The media would do well to adopt their stricter definition. Academics have their own set of rules for defining terrorism. Despite intra-field debate, most North American scholars adopt the three-prong definition of terrorism: it is politically motivated, perpetrated by non-state actors like lone wolves or organizations, and targets civilians rather than the military. This means that when a government attacks civilians like in Assad’s Syria, when the perpetrators are motivated by pecuniary gain like on the streets of Detroit, or when they target military assets like the USS Cole, academic purists would distinguish such acts of violence from terrorism. When it comes to defining terrorism, motives therefore matter. Mass shootings—like the one in Tucson by Jared Loughner, the one in the Aurora movie theater by James Holmes, the Sandy Hook elementary school shooting by Adam Lanza, or the New Orleans Mother’s Day shooting—would be treated as something else. Some scholars provide no distinction between rampage violence and terrorist acts. But in reality, there is an important difference—rampage shooters are not politically motivated. Another important criterion is target selection. Guerilla attacks on military targets are often distinguished from terrorist attacks, which are directed against civilian targets. Critics of the Obama administration have hammered him for his hesitancy to label Benghazi as a terrorist attack. In fact, Benghazi was not a terrorist attack. It was a guerilla attack against high-level U.S. diplomats, hardly a case of indiscriminate violence. When most academics think about a terrorist attacks, we recall 9/11 and the Boston marathon because ordinary citizens were targeted, rather than agents of the state. If Benghazi was not terrorism, was the Woolwich murder? The video footage of the perpetrator reveals a clear political motive. Bloody cleaver in hand, he speaks to the camera. “The only reason we have killed this man today is because Muslims are dying daily by British soldiers,” he says. “Remove your government, they don’t care about you.” But did he target civilians? The soldier was struck en route to work wearing a military shirt. And yet the man in the video shows little interest in harming civilians. He even expresses a weird concern for the witnesses: “I apologize that women had to witness this today but in our lands, our women have to see the same.” No, the perpetrator didn’t target aimlessly. This stringent definition may seem silly to non-academics, but its value lies in predictive power. Those who lump other forms of violence with terrorism are clouding their ability to make accurate predictions. Consider the divergent political effects of terrorist campaigns versus guerrilla campaigns. Whereas terrorists have an abysmal track record of getting what they want, guerillas sometimes win against capable opponents—like when the U.S. withdrew from Somalia in 1994 after a black hawk was shot down. Academic research at its worst is obscure and elitist. At its best, it impacts policy. Research that yields accurate predictions creates policy solutions that could prevent violent attacks. Researchers who lump all violence with terrorism, on the other hand, are like doctors who can’t cure a misdiagnosed affliction. Politicians are notorious for using language to disguise policy choices. Words, the DNA of language, can be exercised to change the way we feel. Steven Pinker says a “taboo word” may be used instrumentally to trigger an emotional response. In The Stuff of Thought: Language as a Window into Human Nature he notes there is “something about the pairing of certain meanings and sounds [that] has a potent effect on people’s emotions” (326). Although Pinker explains that the “pairing between a sound and meaning is arbitrary,” humans “can use a taboo word to evoke an emotional response in the audience quite against their wishes” (333). British Prime Minister David Cameron declared in the immediate aftermath of the Woolwich attack, “We will never give in to terror or terrorism in any of its forms.” President Obama, by contrast, studiously avoided using the t-word on the heels of Benghazi. Whereas Cameron was lauded, Obama was vilified. Both men chose their words carefully. In the face of terrorism, electorates tend to reward right-wing candidates opposed to government concessions. It’s no wonder that Obama, a Democrat, wanted to eschew the word “terrorism,” while Cameron, the leader of the Conservative party, readily adopted it. The media should take a higher moral ground than politicians and avoid politicizing the t-word. The age of Twitter dysentery calls for greater conceptual clarity. The media are the wellsprings of information, but no longer serve as its gatekeepers. While academics are still trying to figure out what terrorists really want, they at least agree on the meaning of the word. The following is the first in our series of collaborations with journals to feature guests posts from authors of recently published political science research in conjunction with ungated access to the article that is being discussed. The guest post is written by political scientist Roland Paris, of the University of Ottawa (@rolandparis). An ungated version of his article is being made available temporarily by Cambridge University Press here. In the June 2013 issue of Perspectives on Politics, I have a review essay based on four books that offer insights into “what went wrong” with the international effort to stabilize Afghanistan after 2001. The books, which are all excellent, approach the subject from different vantage points. Astri Suhrke’s When More Is Less: The International Project in Afghanistan examines the internal tensions and contradictions of the overall international effort. Rajiv Chandrasekaran’s Little America: The War Within the War for Afghanistan focuses more narrowly on the US military and civilian “surge” in 2010 and 2011. In Bazaar Politics: Power and Pottery in an Afghan Market Town, Noah Coburn conducts a micro-level analysis of the politics in one village near Kabul during the international mission. Finally, Thomas Barfield’s Afghanistan: A Cultural and Political History is a macro-history of Afghan politics and governance from pre-modern times to the present. In spite of their differences, all of the books point to similar, underlying dysfunctions in the international mission. The first dysfunction was the interveners’ inadequate understanding and knowledge of Afghan society. Again and again, the authors point to cases of international action rendered ineffectual or counterproductive due to a lack of familiarity with the political and social environment. From the highest levels of decision making to the micro-dynamics of military patrols and aid projects, foreign organizations and officials seemed to be almost handicapped by their own ignorance of the country. The second dysfunction was the persistent short-termism of international policymaking. At each major juncture, decision makers seemed to reach for the most expedient fixes without fully considering the context or consequences of their actions. This pattern was already visible during the 2001 invasion, when the United States paid Afghan militias to intercept fleeing Al Qaeda fighters in the mountains of Tora Bora, rather than sending American forces—a costly decision, since the militias turned out to be less than fully committed to the task. Then there was the Bush administration’s lack of interest in devising plans for Afghanistan’s post-Taliban transition, and its eagerness to delegate this task to others, based in part on the assumption that the “problem” of Afghanistan had been largely resolved by the defeat of the Taliban regime. Next came the UN-sponsored conference at Bonn, which produced an agreement for a political transition process. This agreement, however, was reached “hastily, by people who did not adequately represent all key constituencies in Afghanistan,” as Brahimi, who chaired the meeting, wrote in a contrite essay seven years later. With US and UN backing, moreover, the Bonn plan yielded a highly centralized system of government that was ill-adapted to the country’s needs. Meanwhile, Washington had rejected the idea of deploying ISAF outside Kabul and refused to allow US counterterrorist forces to be used for “nation-building” purposes. All of these actions reflected wishful thinking— or, more precisely, a dearth of serious thinking—about the viability and long-term implications of these decisions. This mind-set continued in subsequent years. As conditions worsened and the scale and scope of the operation slowly expanded, there was little reflection on the underlying assumptions of the mission. When the US government, long distracted by the situation in Iraq, shifted its attention back to Afghanistan in 2008, decision making became more urgent, but was no less short-sighted. 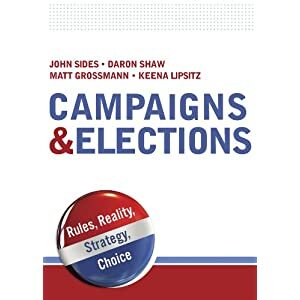 “Again and again,” writes Suhrke, “it was hoped that the latest change in strategy and personnel or increase in aid would be the silver bullet.” I saw this for myself during visits to Kandahar and Kabul in December 2008 and January 2010. Activity was intense, almost frantic, and driven by a sense that little time remained to “turn the situation around.” But exactly how this would be achieved, and to what end, were never clear. Even after President Obama entered office and conducted a lengthy policy review that resulted in a sharp escalation of US forces, these questions remained largely unanswered: How would the United States convince the insurgency to capitulate or negotiate? How would it persuade Afghan villagers to side publicly with ISAF and the Kabul government? What, in short, was the purpose of the surge? More broadly, why did the international operation, with its minimalist start and late escalation, seem so strangely out of sync with conditions on the ground? If “strategy” is a plan of action designed to achieve a long-term or overall aim, there appeared to be little strategy guiding the international operation in Afghanistan. Instead, reliance on a series of quick fixes seemed to substitute for strategic thinking—or tactics without strategy. I conclude the essay by discussing the dangers of repeating these errors and drawing the wrong lessons from the Afghanistan episode. You can access the entire essay for free until June 23, 2013.